Man it feels like years since I have posted a new post, right? All joking aside I just checked and the last time I posted anything was seriously in 2012. My bad. So what all has been going on in the life of Paula since we last spoke? A lot. I don’t really want to recap the last month of my life because I don’t want to bore you, but I’ll give you the highlights. Big life changes have included the fact that I am now the proud owner of a new French Press and a snazzy pair of Smith I/OS ski goggles. 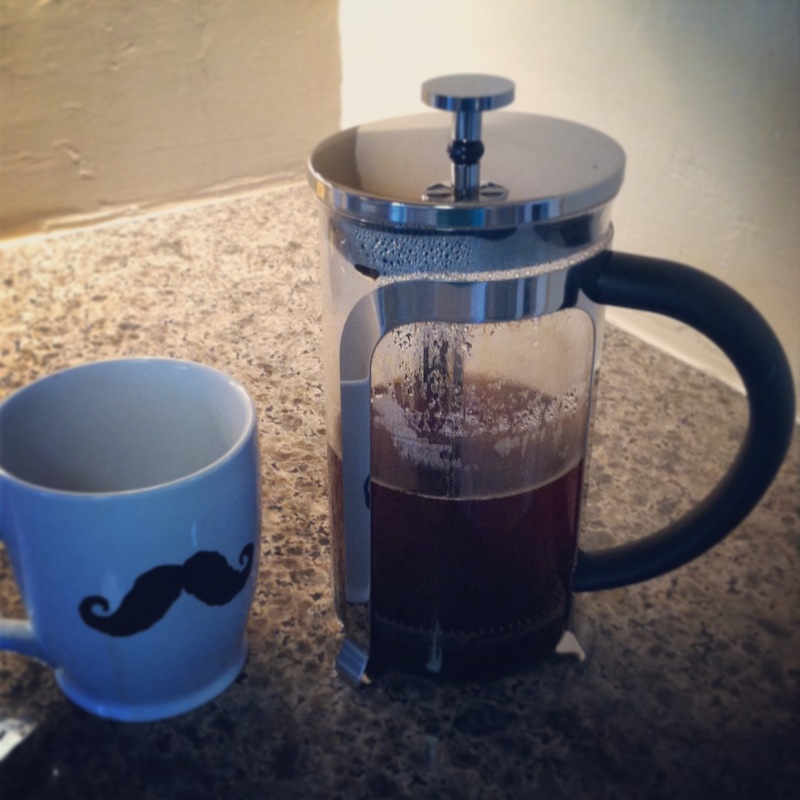 Once you go French Press you don’t go back. 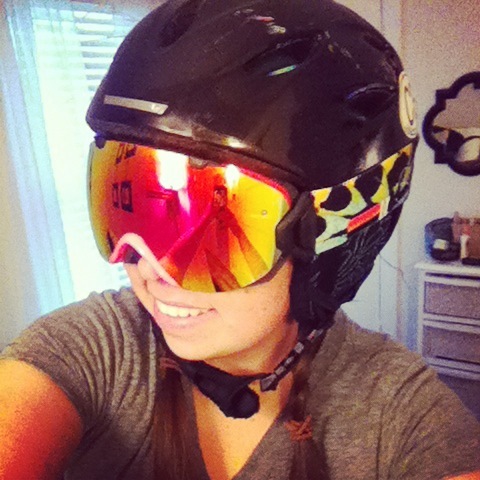 I was so excited about my goggles that I had to try them on at home. Yep. That happened. 1) It’s okay to not be married and not have 2.5 children. I was a campus tour guide in college (pretty unsurprising if you know me) and one of the fun facts I shared with prospective students on the tour was that one out of every four graduates from my alma mater gets married to another graduate from my school. Based on my own wedding attendance these past few years I would say this is a true statistic. Spoiler alert: I’m not one of these statistics. Bridesmaid Paula reporting for duty! 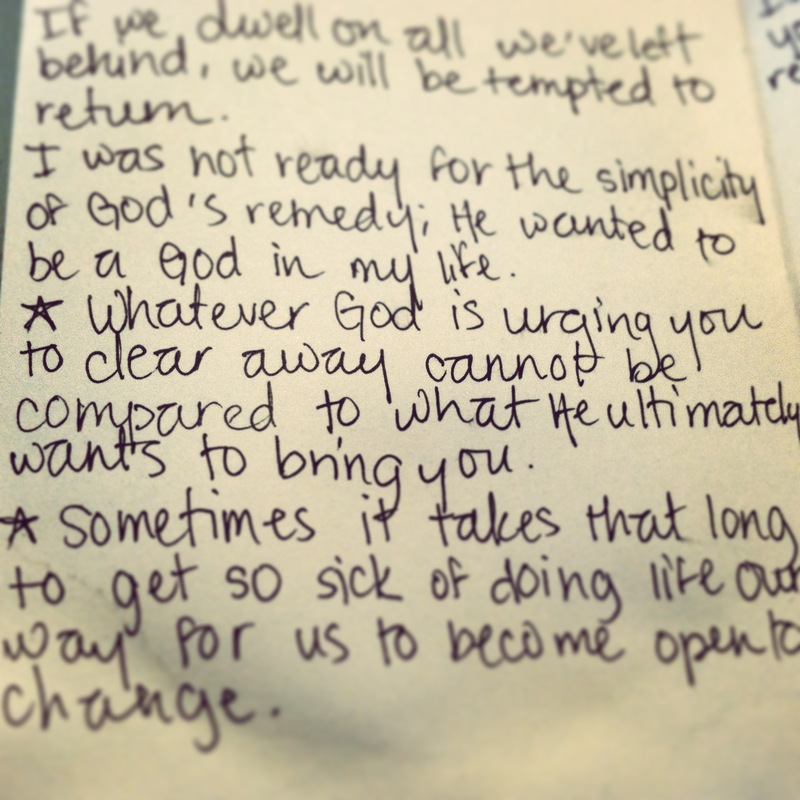 Here’s the deal though – you simply cannot compare your life to anyone else’s. We are raised to believe that life happens in these exact sequences: graduate from high school, go to college, find a job, get married and live happily ever after. My life has looked something more like: graduate from high school, go to college, intern in Honduras, start grad school, move to Atlanta for four months to do another internship because #YOLO, realize I don’t want to work in my field long-term and go through a mid-life crisis at age 23, spend a summer applying for random jobs in ski towns and then happen to have excellent timing and find a real job that I like but has nothing to do with my Master’s degree. For me it’s been less of a straight path and more of a random jaunt around the countryside that has gotten me to a destination that I adore but was never intending to find. The truth is that life is an organic process, and it’s impossible to put it into a neat and tidy box. Actually I think the more you try to force your life to be something it’s not the unhappier you are. I’m not married, I have zero children and that’s okay. I have friends that are married and have children and that’s also okay. The universe really doesn’t give us a deadline that says you have to married by age 25. I mean I won’t say that I don’t someday hope to find the right person, but in the meantime I’m not going to be sitting at home on Friday nights watching “Say Yes to the Dress.” You’ll find me living my life, which involves going to the mountains every weekend, two hour rock climbing sessions on weeknights, and wine/beer nights with friends. Why would I want to fight that? 2) People are in your life for a reason. I saw a quote on Twitter at some point last year that continues to resonate with me: “People come into your life for a reason, a season or a lifetime.” Reflecting on my own year I can definitely point to people who were there for a reason and/or season but are no longer in my life, as I’m sure anyone can also find in their own life. I will estimate that at least 75% of the people that are the bread and butter of my life in Denver these days I did not even know at this exact time last year. You can’t plan when you’re going to be married or have children and similarly I don’t think you can plan on the people in your life. And there is absolutely no way to know exactly who is going to end up being there for a month or for 45 years. That’s a chance you have to take when you invest in someone, and that’s also what makes it fun. 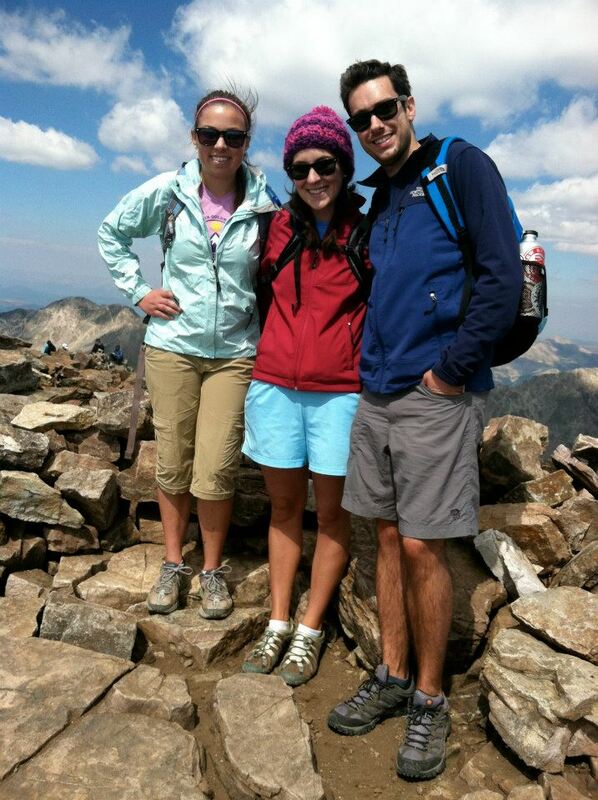 Me, Amy and Joel at Quandary Peak this past summer. 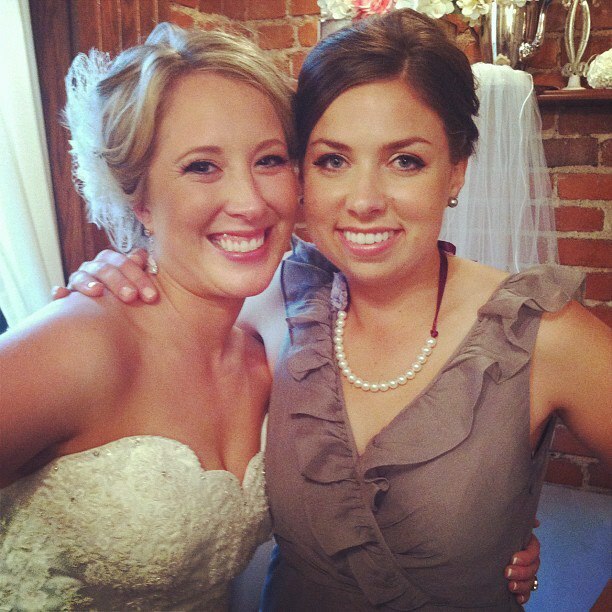 Amy and I met on Twitter last spring. It happens. Adult relationships are tricky. They involve so much coordinating of schedules and planning weeks in advance simply to hang out with a friend for a few hours. Gone are the glory days of college when I could walk down the dorm hall and visit ten of my friends. It’s harder to be friends in the real world. But I also think that’s precisely why friendships in the midst of jobs, bills and laundry are special. People that are your friends in the real world are there because they want to be there. There is no obligation to be circumstantial friends because you go to the same college. Your adult friends are there because they want to be friends with you and because they see something they like in the life that you are living. So when a friendship sticks, it’s a pretty cool thing. And when someone leaves your life, it’s a learning experience. 3) You can’t be everything to everyone. I learned a life shattering lesson this year: I can’t be everything to everyone. I would really love nothing more to be best friends with everyone but human cloning hasn’t made it big yet so I’m not sure that’s in the cards. At the end of the day, you really only cheat yourself and the people you care about when you spread yourself too thin. There’s a finite amount of time in each day, and the best way you can spend it is by investing in the people that invest in you. The whole quality over quantity argument rings true. In second grade it was possible to have a different best friend every day; in 25 year-old land maintaining friendships takes work. 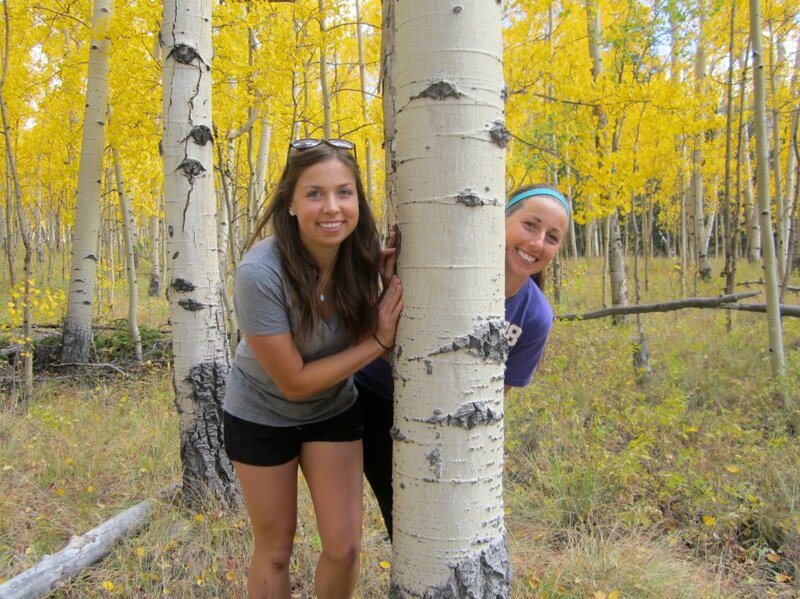 Annual golden aspen sojourn with my friend Britt. It’s kind of a delicate balance. I’m not necessarily saying that I’m not open to making new friends, since (see Lesson #2) you never know who is going to end up being a great person in your life if you don’t give them a chance. I am saying that you have to make choices sometimes, and I now choose to make people a priority in my life that make me a priority. I love coffee dates as much as the next gal but the people who know you better than you know yourself are essential to survival. You can’t be everything to everyone, but, if you put in the time, you can be something to someone. 4) You set your own schedule. Last May I was trying to plan a time to go for margaritas at The Pioneer (seriously best queso this side of the Continental Divide) with my friend Kara and my schedule was so packed we had to plan three weeks in advance. I was that busy. I have no idea why I was that busy because it’s not like I’m the flipping leader of the free world or anything. That moment with Kara was probably my breaking point when I decided that I had to get my schedule under control. It didn’t happen overnight by any means, but eventually I found myself with more free evenings. I started saying “No” more often. When I had no plans for a night I made no attempts to try and find something to do. Now this is what I call a full life! Lately my weeks tend to be fairly open. With the exception of my standing Bachelor date on Mondays, I mostly enter each week with no solid plans. I have the freedom to run after work, hit the rock climbing gym or even make last minute dinner plans. I have time to breathe and refresh, and I’m not rushing from scheduled event to scheduled event. I sometimes make questionable life decisions about choosing to go ski over everything else but hey who’s perfect? Realizing that I am the only person in charge of how I spend my weeks is what made a huge difference. After all, I want a full life, not a busy life. 5) Figuring out what you believe is important. Probably one of the single most life changing things that happened to me this year was walking through the doors of New Denver Church. Now I absolutely love the community at my church but I’m really not here to push my church or even my faith on anyone else. I will straight up tell you that I was not certain I believed in God at all about a year and a half ago, and reading some girl’s blog on the internet probably would have done very little to convince me of anything at all. I do whole heartedly believe in God now and it’s been quite a journey this past year, but my intent in this is not to be preachy because I’ve been on the other side and that certainly never spoke to me. All I want to say is that understanding what you believe and why that’s what you believe is important. Pick your poison – read books, ask questions, talk to friends and family – but no matter what I think everyone should understand his/her faith one way or the other. 6) We are all works in progress. The best thing about all these fun and exciting life lessons that I had the distinct pleasure of learning the hard way in 2012 is that I am still a complete work in progress. I have the ability to change and adapt and become a better person through whatever I face. It would be disappointing to me if I ever stopped becoming a new person. Luckily I think life throws enough curve balls at us all that we are all forced to change our courses of action every so often. I feel like a very different person in 2013 than I was in 2012, and I’m sure I’ll feel like a different person in 2014 than from what I am right now. While yes that’s a little scary to think about it’s also exciting to know that I can continue to grow. I kind of like that at any given moment I can just decide to join an ultimate frisbee league or buy a pair of climbing shoes. Change keeps things real. I made a lot of mistakes last year (don’t we all) but I think the important thing is that I tried to learn from them. I’m mostly just now excited to see what 2013 throws my way. I enter 2013 a little older, a little wiser and with a little less hair. The most major haircut I’ve had in five years. Yes, that’s right. 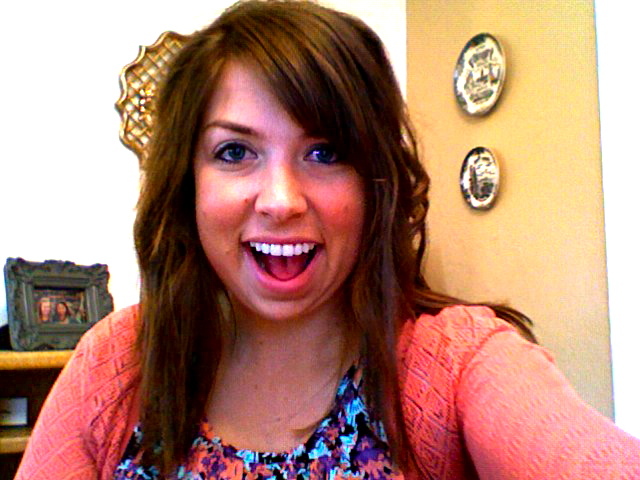 I chopped six inches off of my hair and went for some side bangs just to switch it up a little bit. Will one of my top lessons learned in 2013 be to not ever cut six inches of my hair off? Only time will tell. In the near future I have a lot of exciting things coming up including the X Games, a winter ascent of a 14er and my first ever backcountry ski trip at a 10th Mountain Division Ski Hut. I promise I’ll stop being a lazy blogger and you can look forward to many fun updates on these and other adventures soon! Categories: life, lists | Tags: 2012, change, french press, haircut, life lessons, smith i/os goggles, wisdom | Permalink. Last May, I made a list of things I wanted to do over the summer. At that point, I still had two weeks of the quarter left, and at least this year I made until the end of the quarter before I decided to start fantasizing about the summer. I’m not quite there yet – one more paper stands between me and freedom. Still, it’s never too soon to start planning your summer! Summer 2010 quite possibly gave me unrealistic expectations for all future summers. I had a five week staycation, and my friends and I spent all summer having dinner parties and hanging out in a legitimate mansion. Also, I am happy to report that I completed almost every single activity on my 2010 list: Water World, Jefferson County Open Space, fourteeners, getting to know Denver, and Rockies games. Learning Portuguese and trying to cook more are basically just perpetual goals of mine. It’s good to not always reach your goals because it gives you something to look forward to! Summer 2010 ladies at the mansion. What, normal graduate students don’t have mansions at their disposal? CrossFit Endurance – I have been going to CrossFit since the middle of February, but my allegiance to CrossFit during ski season was definitely questionable. Actually, my allegiance to most of my commitments during ski season was questionable. During the summer, I will finally have the time to get more serious about CrossFit and also start doing CrossFit Endurance workouts as my marathon training. Paleo – I signed my soul away to CrossFit. No really, I made a deal with one of my Coaches that I would go paleo for a month, from June 11 to July 11. Conveniently, I will be ending on my birthday so I can enjoy some Colorado beer. Paleo roughly means you eat like a caveman, eating proteins, fruits and vegetables while avoiding breads and grains. Anyone who has had the opportunity to witness how much I love bread baskets at restaurants will know how hard this is going to be for me. I might cry. Biking – I’m probably the only Denver resident without a bike. I plan on searching CraigsList for a decent bike that I can use to get around town. I don’t think I can afford investing in mountain biking this year, but that is definitely the eventual goal. At least I can start biking to the grocery store and my friends’ houses! Rediscover the joys of leisure reading – Graduate school has kind of ruined reading for me, and I look forward to a summer of reading books for leisure. Not that reading articles in the Journal of Comparative Politics isn’t really interesting and all! My goal is one book per week. Make art – While Claire and I were in New Mexico on our recent camping trip we spent one morning drawing the landscape. Making art was relaxing and rejuvenating, and I would love to take up oil pastels and possibly watercolor painting over the summer. I also have a plain wooden table that needs some serious painting and loving. I can’t wait to be creative. Mountain time – I plan on spending as much time as possible outside this year. 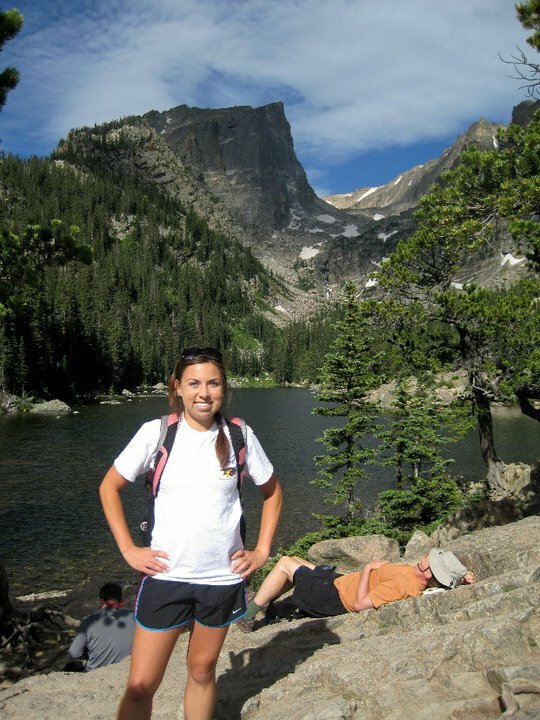 Hiking, camping, rock climbing, white water rafting – I want to do it all. Other plans – My summer is actually quickly filling up! I have a wedding in Missouri in June, the Telluride Bluegrass Festival in mid-June, a trip to Crested Butte for the Fourth of July, and the Wild West Relay 24 hour run from Fort Collins to Steamboat Springs in August. I’m also considering a trip to rock climb and raft with my brother in West Virginia sometime in August and one of my best friends from home might be visiting at the end of July. Loving mountains during summer 2010. One thing that is different this summer is that I will be gainfully employed all summer. I’m slowly coming to terms with the fact that I do not get a five week staycation this year. Oh well, this is probably for the best. Something has to fund my summer plans! 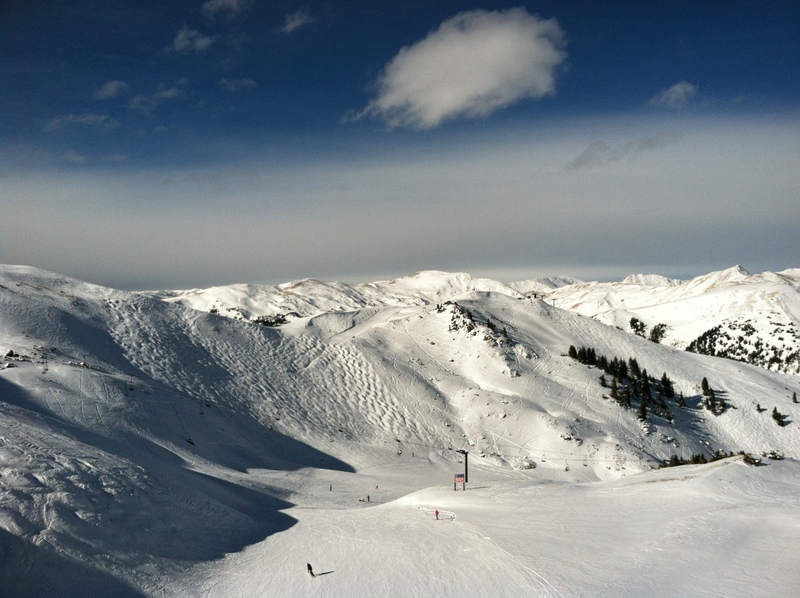 Categories: colorado, lists, summer | Tags: 2011, plans, summer | Permalink.